I’ve had OnlyBurger once during the school year, but I didn’t remember much about it and wanted to try it again. So when my friend told me that over the summer, they stop right down the street from where I work, I was super excited and hoped that they would make a stop there soon. 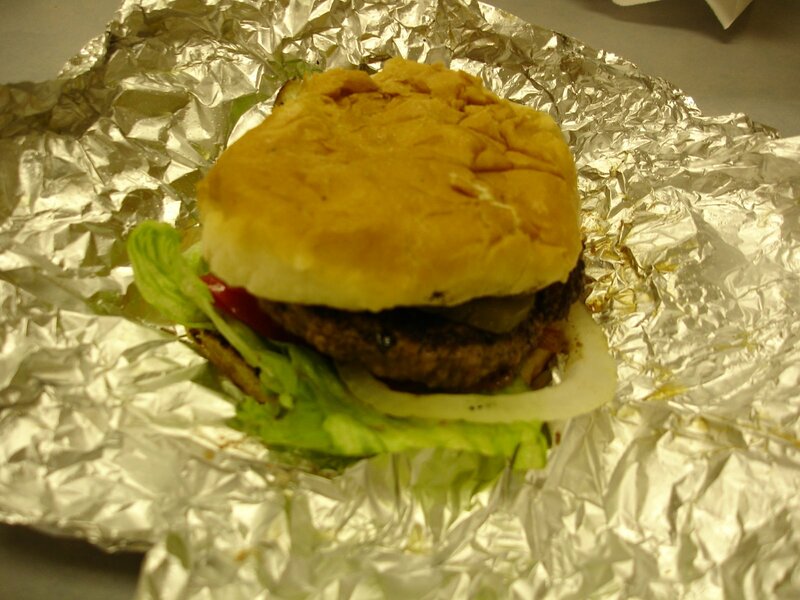 Basically, OnlyBurger is a burger truck, and it makes stops around the RTP area during lunch and dinner times. You follow them on their website or Twitter to find out where they will be. 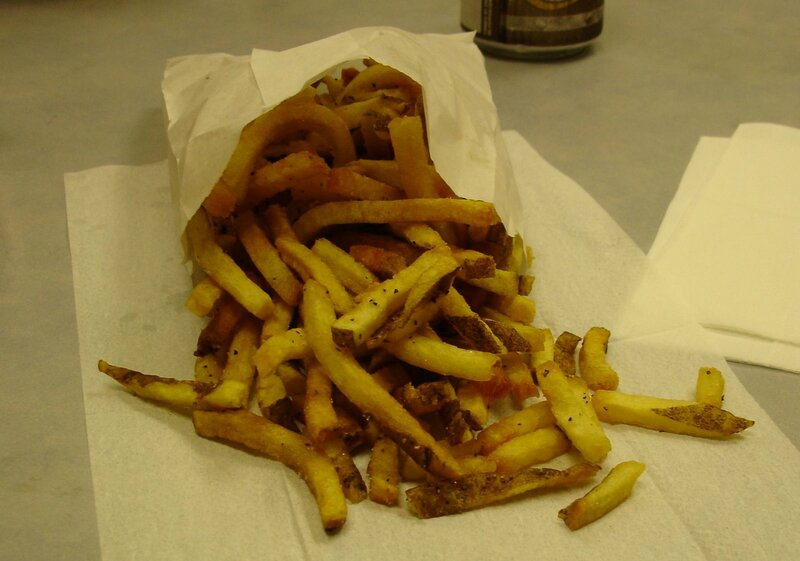 Its menu is simple: single, double, single combo, and double combo – which include fries or chips and a drink. You can add lettuce, tomato, onions, ketchup, mustard, mayo, cheese, and pickles to your burger. Huge bag of crispy fries. The burger itself is wonderful. It’s very juicy, and the burger bun is also toasted with butter and grilled along with the patty, which means it has extra flavor. I added ketchup to my burger, but honestly, even without any condiments, the burger is juicy enough. It’s really one of the best burgers I’ve had, and probably the only burger I’ll want for a while. My burger with lettuce, tomato, onions, ketchup, and pickles. – Definitely follow them on Twitter or check their site to find out if they’re ever near you. And if they are, go and get yourself a burger and fries!